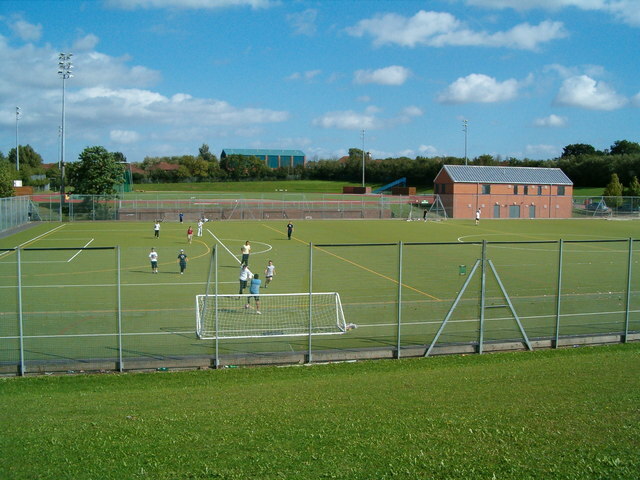 League fixtures and midweek evening training will be held on the astroturf field at Stantonbury Leisure Centre beside the athletics stadium. The nearest car parking is off Soskin Drive. The water-based astroturf will only take trainers or small moulded studs, no screw-in studded boots please. 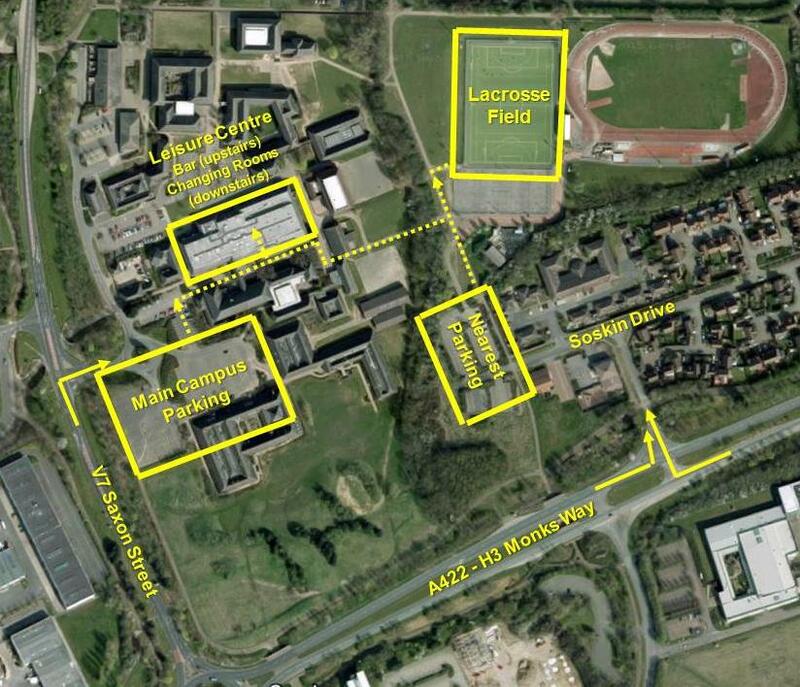 Changing rooms for game days are on the ground floor of the Leisure Centre (see map below). The staff will let you through the barrier gates if you say you are playing lacrosse on the astroturf. The changing rooms are also used for the leisure centre swimming pool so please leave them tidy when you leave, i.e. put your rubbish in the bin. Note. The leisure centre bar is not longer operational. We go elsewhere for post-game food and drinks.